mother's death, when I was eight, was the defining event of a childhood that was otherwise ordinary. I took piano lessons and flute lessons. I took ballroom dancing lessons. I went to summer camp through my fifteenth year, then spent my sixteenth summer learning to drive." After graduating from Newton High School, she earned a Bachelor of Arts degree in Psychology at Tufts University and a Master of Arts degree in Sociology at Boston College. Barbara says, "I wish I could say that I had a career in mind, but women were barely thinking about careers back then. The motivation behind my M.A. was to get a better job with better pay. My husband was just starting law school. We needed the money." She never dreamed of having a writing career, noting that, "I had a vivid imagination, but it was a private one. As a child, for example, I concocted many a complex scenario to explain my mother's death and imminent resurrection. But I came from a family of lawyers, teachers, and homemakers. Although I knew that I could write well, it never occurred to me to use that skill professionally." Following graduate school, she worked as a researcher with the Massachusetts Society for the Prevention of Cruelty to Children, and as a photographer and reporter for the Belmont Herald. "I did the newspaper work after my first son was born. Since I was heavily into taking pictures of him, I worked for the paper to support that habit. Initially, I wrote only in a secondary capacity, to provide copy for the pictures I took. In time, I realized that I was better at writing than photography, " she says. She used both skills doing volunteer work for hospital groups, and has served on the Board of Directors of the Friends of the Massachusetts General Hospital Cancer Center and on the MGH's Women's Cancer Advisory Board. She became a writer by fluke. Her twins were four when, by chance, she happened on a newspaper article profiling three female writers. Intrigued, she spent three months researching, plotting, and writing her own book -- and it sold. That was in 1980. Since then, she has written and published over sixty-five novels. After starting in the field of romance, she moved into mainstream fiction with such titles as For My Daughters, Together Alone, and A Woman's Place. "It was a natural evolution for a woman whose interest in people pushed her toward psychology and sociology. People fascinate me; social dynamics fascinate me. Year by year, book by book, my stories became more complex until they had simply outgrown that initial format," she says. Known for her skill at characterization and her mastery of emotional intensity, she touches the minds and hearts of her readers with intricately woven stories of domestic drama and relationships. Barbara states, "Readers identify with my characters. They know them. They are them. I am an everyday woman writing about everyday people facing not-so-everyday challenges." 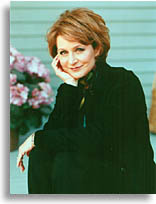 Her books are highly emotional, character-driven studies of marriage, parenthood, sibling rivalry, and friendship. They regularly appear on the New York Times, Wall Street Journal, Washington Post, Publishers Weekly, and USA Today Bestseller Lists. Her newest hardcover, The Vineyard, will be published in June, 2000 by Simon & Schuster. 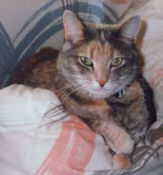 in many major publications, she is most proud of her profile in the "Celebrities' Cats" section of Cats Magazine, saying, "Our cat, Chelsea, is worshipped by the whole family. I was thrilled to be able to show her off. Of course, she was totally traumatized by the photographer's equipment. I had to chase her down and forcibly hold her for one picture after another. The end result was worth the battering I took from her claws!" An advocate for contemporary women's issues, Ms. Delinsky has appeared on panels and television and radio shows across the country, as well as before library, civic, and school groups. She has participated in many online chats. Four of her books have been optioned as television movies. More than twenty-eight million copies of her books are in print worldwide, in English and over twenty-five foreign languages. She and her husband, a lawyer, have three grown sons, and two daughters-in-law. They divide their time between their suburban Boston home and a lake house in New Hampshire. When she's not working, you can find her spending time with friends and family, doing aerobics to combat all those hours spent at the computer, kayaking, or curled up with a good book. Barbara spoke to us about her newest novel, The Vineyard, the challenges that women face in the new Millennium, and how she made the transition from romance author to bestselling mainstream novelist. Let's talk about your new release, The Vineyard. What was your inspiration for this book? My inspiration was the rush of books that came at the start of the new millennium detailing the lives of those Americans who lived through things like Prohibition, the Depression, and World War II. I wanted to tell the story of a woman who lived through those days, as seen through the eyes of a very contemporary younger woman. One of the themes of the book is the different attitudes held by people who grew up in the 1930s, 40s and 50s. Was life really simpler back then? Some people might say that although women had very limited roles and opportunities, that at least both women and men knew their roles in society, unlike today when everyone seems to be struggling to find their role and place. You have a point -- a point that my characters grapple with in The Vineyard. Olivia, a single mother with a ten-year-old daughter, is convinced that women have it far harder today and that life was, indeed, simpler back then. Natalie, who is seventy-six, argues that simpler doesn't mean easier and that women back then worked hard. Much of her narrative illustrates this. How did you approach the research necessary for writing about life in a vineyard? "What do I love most? Working with words. Words in a sentence are like pieces of a puzzle... There's nothing like the moment when, after working and reworking a sentence, everything falls into place, and you know that it's right." First, I found books on vineyard life and read everything I could. By then, I understood that growing grapes in New England (where my story is set) is very different from growing them in California or abroad. So I visited a vineyard in Rhode Island to see, firsthand, what a vineyard in this region looked like and how the work was done. Natalie Seebring, owner of the Asquonset Vineyard and Winery in Rhode Island, is the hub around whom the entire story of the family and its past is told. What was the greatest challenge in writing Natalie? Finding balance. Making her a likeable character, so that the reader cared about her. Natalie is a strong woman and could easily come across as aloof. She has done remarkable things in her life, but she has a softer side, too. Widowed for a mere six months, she announces plans to marry her vineyard manager. Her children are incensed. They have never seen the vulnerable side of her. Showing this to them -- and to the reader -- was the challenge. Another interesting and appealing character is that of Olivia, the single mom who still believes in fantasies and fairy tales -- in fact, sometimes she spends a bit more time daydreaming than she should! How did you create the character of Olivia? Olivia is a woman of my own heart. I love fantasizing about the past, and while I'm perhaps a bit more realistic than Olivia, she and I both have the kind of imagination that takes us places we can't actually go. In the course of writing The Vineyard, I lived vicariously through Olivia. What did you enjoy most about writing The Vineyard? One thing? How can I boil it down to just one? I loved learning about grape-growing and wineries. When I was in school, June always came before we'd had a chance to study World War II, so I loved learning about it for The Vineyard. I also enjoyed writing about Olivia's ten-year-old daughter Tess. She is sweet, severely dyslexic, if occasionally ornery, and she loves cats! Also out in paperback this month is Lake News. How did this book come about? Lake News was inspired by the media circus that erupted around President Clinton and Monica Lewinsky. Before the media saw fit to relate facts rather than rumor, I got to wondering what would happen if the woman involved was entirely innocent of misbehavior, yet would have her life ruined by the publicity. Lake News has neither a US President nor a Monica Lewinsky. The characters and circumstances are totally different. Lily Blake is as pure as characters get. But she is publicly smeared -- loses two jobs as a result -- and she fights back. In Coast Road, you took a big risk -- which paid off -- by placing the heroine in a coma for most of the book. What led up to your decision to structure the novel in this way? After writing sixty-five books, I was looking for a challenge. Creating a major voice who can't speak for herself -- yet keeping her that major voice as the focus of the book -- was the challenge. Lake News pulls no punches when taking on the subject of the press today. What are your thoughts on the way our news media slants our news? Has our news media gone too far in invading subject's privacy? The news media scares me. The day and age of reporting news is gone. Reporters now take it upon themselves to interpret the news, and in the process, often make the news. How do they get away with that? Beats me. Yes, I think the media goes too far. As I said in Lake News, they splash lurid accusations across the front page, then let a story die in an obscure spot when the accusations prove unfounded. That's wrong. It's unethical. The settings in your books, from small towns to the lake community in Lake News, are so vivid that they seem to be characters in your books. How much time do you spend picking the settings for your books? How affected are you personally by your surroundings? I'm deeply affected by my surroundings. I always have been, which is why I live and work outside of the city, where the sounds are gentler, the sights greener, the people calmer. Since I almost always set my stories in New England, picking a setting is easy. I rotate among the six states. Each one has its own character, its own sights and sounds. For the book following The Vineyard, it's Connecticut's turn. I'd like to talk a bit about the creative process. Would you describe a typical working day for you? Ideally, I work from nine in the morning to seven at night. Some of that time is spent at the computer, some of it either proof-reading pages or writing by hand. Some of it is also spent on business matters, like writing copy, answering fan mail, or doing publicity. Several of your books focus on people with disabilities: in Lake News, Lily has a stuttering problem, and in Commitments socialite Sabrina Stone has a handicapped child, and in The Vineyard, Olivia's daughter Tess has dyslexia. Your characters with inherited disabilities are never treated as "handicapped". Was this intentional? How do you approach writing characters with disabilities? Are there any characteristics that you try to avoid? "Women have made great strides in the workplace in the last thirty years, but they are struggling now to juggle personal needs with professional ones. I think that women have many more personal needs than men do, which makes our dilemma more acute. We want to think we can have it all, but I'm not sure there are enough hours in the day." message that I like giving my readers. The one thing I've never been able to abide in life is self-pity. Lord knows, we all have reason to feel it from time to time, but self-pity can be disabling in and of itself. My characters wouldn't dare show it, or I'd expel them from the cast! You started out writing romances and have now evolved into writing mainstream fiction. How did you make this transition? What was the greatest obstacle you had to overcome in changing the genre in which you write? How did I make the transition? First, I started writing full-length novels, rather than half-length ones (i.e. romances). I gradually gave emotional elements such as family crises, sibling rivalry, and friendship more time on stage and the romance less. I worked hard -- still do -- on making my writing more efficient and sophisticated. The greatest obstacle to overcome? Changing the way booksellers perceive me. To this day, much of the public thinks I'm still a romance writer, when, in fact, I haven't written a romance in over ten years! Do you use outlines when you create a new plot? Yes. I like to know where I'm going and, roughly, when. The outline may be shorter or longer, depending on the plot, and there are times when, in writing a book, it takes off on its own in a direction I didn't plan. But an outline gives me a springboard. I edit constantly. That means I edit as I go, and also go back to a previous day's work to edit. If one could count the number of drafts one does with a computer, mine would number in the hundreds. I wish I could zip through the story writing a first draft, then go back and edit the whole thing. But I can't. The only feedback I get in the course of writing a book is from my agent and editor. I've never been one for hands-on groups. It's the old story -- ask ten people their opinion, and you get ten different opinions. You are known for your complex and interesting characters. When creating your characters, especially supporting characters, what kinds of factors do you consider? Do you use character bios or sketches? I do use -- actually, create -- character bios. I need to know far more about each character than may ever come out in a book, if only to be able to understand where he/she is coming from and what he/she is thinking and feeling. I choose secondary characters for their ability to compliment the central themes of the book. What do you love most about being an author? What is your least favorite aspect of the profession? What do I love most? Working with words. Words in a sentence are like pieces of a puzzle; you try out a whole bunch, then turn them this way and that until they fit into the whole. Creating flow is crucial. There's nothing like the moment when, after working and reworking a sentence, everything falls into place, and you know that it's right. What I do love least? Touring. It's grueling, time-consuming, and lonely. What do you see as the greatest challenge for working women in this new Millennium? Finding the balance between career and home. Women have made great strides in the workplace in the last thirty years, but they are struggling now to juggle personal needs with professional ones. I think that women have many more personal needs than men do, which makes our dilemma more acute. We want to think we can have it all, but I'm not sure there are enough hours in the day. What are your favorite ways to spend time when you're not writing? I love spending time with my family. Spending time with friends comes second to that, then working out, then kayaking, then reading, then doing needlepoint. Did I mention shopping? I'm pretty good at that. After 65 books, how would you say you have grown as a writer over time? I've come into my own -- found my own voice, if you will. I wrote my first book on a model set by others in the genre. Little by little, I've gone off in my own direction. When I moved to writing full-length novels, I was able to create more complex plots and more fully-drawn characters. Longer books do come with their own perils; for one thing, I spend a lot of time making sure that the pacing is correct, so that the reader doesn't get bored. My writing style has changed dramatically over the years, growing increasingly clean and exact. I like to think that I'm still improving -- that each book I write is a new personal best. Can you give us a sneak peek of your next book, The Woman Next Door? The Woman Next Door is the story of what happens when a young widow turns up pregnant and the most likely suspects are the husbands of her three neighbors. This is a story of spouses and of friends, a story of modern people facing the age-old problems of fidelity and trust. goals for yourself -- a certain number of pages a day -- and then take one day at a time. Even if you can only write two pages a day, or ten pages a week, those days and weeks and pages add up. Edit, edit, edit. Edit until there is nothing, absolutely nothing you would change in your manuscript. Then smile, sigh, and type in "The End." Photo of Barbara Delinsky by Robert Clark.